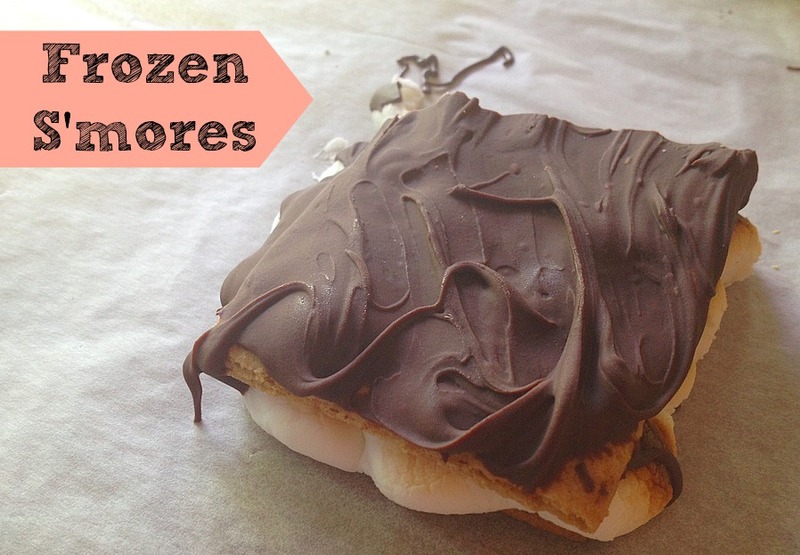 Frozen S’mores, need I say more? This one is a fabulous recipe to have and something you can make and then have on hand as a little goodie to enjoy anytime! I do love fire pit S’mores but how nice to have an option that will last year round! Place 1/2 of graham crackers on parchment paper lined baking sheets. Top with a layer of mini marshmallows covering marshmallows. Throw a few extra on top for extra yumminess. Place in oven and watch carefully marshmallows get done very quickly not even a minute. When they are toasted and browned up remove the tray. Top each marshmallow graham cracker with another graham cracker squishing down. 30 sec and stir, 20 sec and stir, 10 secs. They should be all melted. Spread a layer on top of each marshmallow graham cracker sandwich. Freeze for at least 15 min. Break apart and enjoy.